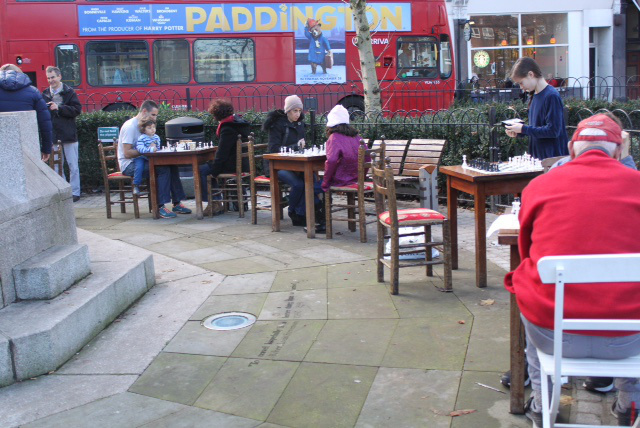 Fantastic start to fountain chess in South End Green! 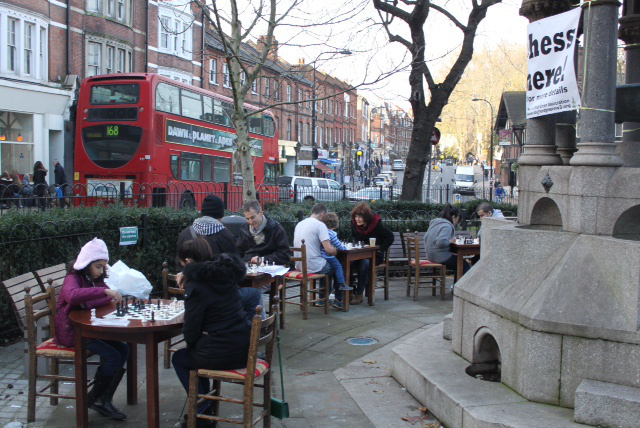 A fantastic event, its a shame that I could not arrange the time to attend in person!! 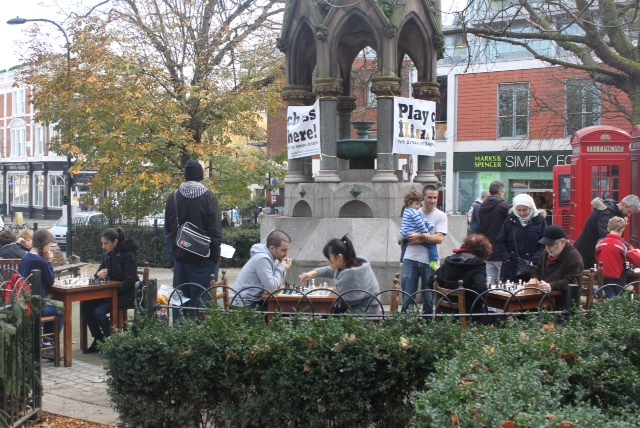 A fantastic first Saturday morning chess tournament filled the fountain area on South End Green this weekend, in a great event organised by local chess master Deepak Malhotra, Jonathan Bergman and Peter Marigold from the fountain renovation team and Zara restaurant (who generously loaned tables, chairs, tea and coffee for participants). 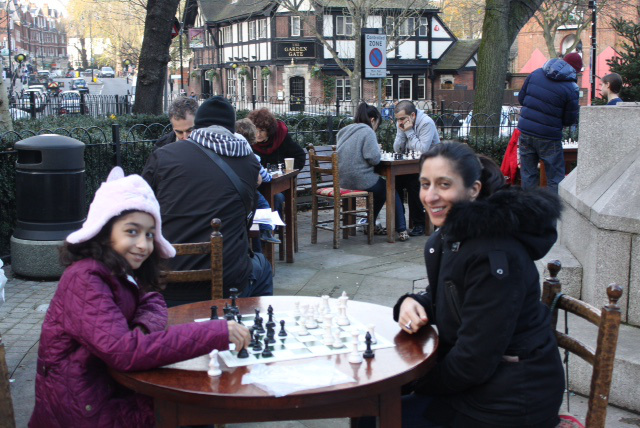 Expect more great happenings around the fountain throughout 2015!